An increasing amount of students from non-English speaking countries are pursuing higher education in the USA, UK, and other countries where English is the main language of instruction. Many of these students have taken English as a second/foreign language in school or have family members who speak English, and so do not need to take any ESL courses once they arrive at their chosen university. However, in order to prove that they can handle taking courses in English, they must first past a TOEFL (Test of English as a Foreign Language) exam. Online TOEFL test preparation can help with this. First off: what is the TOEFL? It is a standardized test, just like the SAT, ACT, GRE, etc. This particular test is designed to measure how well a non-native speaker of English has mastered the language. The main purpose of this is to show admissions officers that a student will be able to succeed in an English-speaking university environment, even if their education up to that point was not conducted in English. There are four sections of the TOEFL: writing, reading, listening, and speaking. High scores are needed in all sections to demonstrate your readiness for taking university classes in English. The score you receive on the TOEFL exam can mean the difference between being accepted to your university of choice and being rejected. Receiving a high score can also ensure you won’t have to take any remedial ESL classes once you start at university. There are other exams that measure English proficiency, but these just aren’t as widely accepted as the TOEFL. Anyone applying to a university who needs to prove their English proficiency is likely to need this exam since it is accepted by over 8,000 universities in 130+ countries. It is seen as the most accurate judge of mastery of the English language. Achieving a high score will show that you are proficient in the English language and admissions offices all over the world will be able to see that: all with one test. Additionally, the TOEFL is one of the most accessible tests for students to take. There are over 4,000 test centers spread out across the world in over 160 different countries. There are dozens of opportunities to take the test throughout the year and it can be finished in one day. Even if you do have to travel, it’s not likely to be too far and it won’t eat up a lot of your time. Since the test is so widely recognized, this means there are also a lot of study books, test courses, online materials, etc. to assist you in studying. You can see that the TOEFL is important, so of course, you’ll need to study for it. But which method should you use? Online TOEFL test preparation is one way to study. Online TOEFL test preparation is a good way for many students to practice for the TOEFL exam. University is already a costly endeavor, as is paying for entrance exams, so they are a good way to save money. 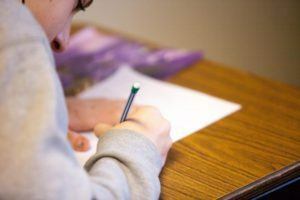 Preparation courses and private tutors are just too expensive for some students, but they still need help just as much as those who can afford to take those preparation routes. Studying online can offer not just lower cost, but also a variety of other benefits. For one, they are more accessible to some students. 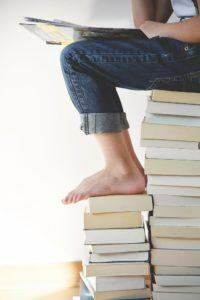 Students who live in more rural areas or areas that just don’t have many tutors or preparation courses available are at a disadvantage when it comes to studying for the TOEFL and other university entrance exams. Being able to study online helps bridge that gap. Students won’t need to travel long distances just to study, as they’ll be able to access their study materials from anywhere they’re able to get on a computer. You can study at home, at a library, at a coffee shop, at a friend’s house: anywhere you need to. Online courses are also more flexible when it comes to scheduling. Are you having trouble scheduling a preparation course due to your work or school schedule? Have you been late to other classes due to having to make a long commute after dropping kids off at school? Those issues just aren’t a thing with online classes. The course materials are available to you when you need them and you can plan all your studying around your schedule. If you can only study for 20-30 minutes here and then throughout the day, that’s okay. The only person holding you to a study schedule is yourself. Are you a shy person who has a hard time speaking up in class? Are you often distracted by the other students in your classes and have a hard time focusing? Online learning can help with that as well. Students who are normally more reserved or get spoken over will be able to interact with others in online discussion forums on a level playing field. Nobody can be “louder” than anyone else. It’s also much easier to refer back to a question somebody already asked and see what the answer was since it’s right there in text form. You can create your own distraction-free study environment as well. You’ve decided to study for the TOEFL online as opposed to taking a class in person. Great! Where can you do that? 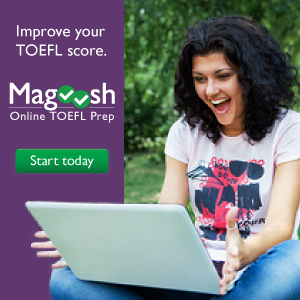 One of the ways a student can prepare for their TOEFL exam is to go to a website such as Magoosh. Magoosh is a website curated by a team of educators, tutors, and others who just have a passion for language learning. The team comes from a variety of backgrounds, so you can be sure you’re getting a varied learning experience that will help to cover all the topics you need to achieve a passing TOEFL score. Additionally, many members of the team have had to take tests such as the TOEFL, GMAT, etc. so they know what it’s like to have to prepare for something that is so vital to your educational future. Magoosh is designed for the student who doesn’t have the time or money for traditional test preparation courses or tutors. Students can study on their own schedule and focus on the subjects they need the most help in. There are over 150 lessons to choose from: that’s enough to cover anything and everything you’ll need to know to pass your TOEFL exam. To ensure you understand what you’ve learned, there are also over 330 test questions and explanation videos to go along with the test questions, so you don’t have to worry about not understanding what you’re being asked. Tutors are also available to answer questions and provide that little bit of extra one-on-one support you may need. Thousands of students have used Magoosh to prepare for their exams and the testimonials really show that it works. Past students love the way they are taught the format of the TOEFL, the easy to follow instructional videos, and the ease with which they prepared for their exams. 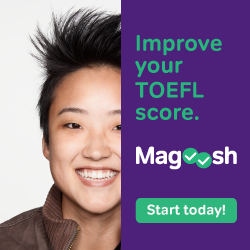 Students who had low scores on the TOEFL in the past were able to raise their scores by using Magoosh as a study resource. There are, of course, many ways to study for your TOEFL exam. Traditional classroom study is something that works for some people. If it works for you, great! If buying a study workbook and going through it has been successful for you in the past, give that a try. If you are able to afford a one-on-one tutor and that is the best-proven method for your study style, go that route. Some people can even just take a couple practice tests or study with friends and achieve high scores on their tests that way. 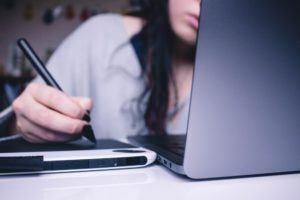 However, if you just can’t afford a classroom course or private tutor, or if those ways of studying have resulted in low scores in the past, you may want to give online courses a try. Getting a low score on the TOEFL can be extremely frustrating. This isn’t a test you can “fail”, of course, but certain universities have required test scores and it can feel like a failure to not achieve the scores your dream school wants. Paying for a course, completing an entire workbook, or spending months with a tutor, only to end up with a low score just doesn’t feel good. Taking course after course after course is expensive, as is having to pay for the test multiple times. Online study doesn’t have to be a last resort, though. Given how easily accessible and inexpensive it is, if you aren’t sure how to study for your first TOEFL test, give it a try! You won’t be out as much money as if you paid for a course and you’ll be able to study at your own pace, on your own schedule. Even if you’ve never studied online before, you might be surprised at how well it really works.